Find Rainbow Colorful Camp Hat/Cap, Printing Flat Brim Caps, Flat Brim 5 Panel Caps on Industry Directory, Reliable Manufacturer/Supplier/Factory from China. 1 Material Camouflage Other material as per buyer' s demand, such as polyster, poly-cotton, canvas, acrylic, etc. 1.We pay 100% of the attention to achive 300% of the order quality. 2.We produce your goods after more than ten working procedure. 3.We have 20 professional sales team to provide 24 hour service. 4.We have 7 professional deisngers team to make your idea come ture. 5.We use brand carries more people's dream. We are a largest and reliable supplier offering various kind of headwear, shirts, bags etc. We have independent import and export company. 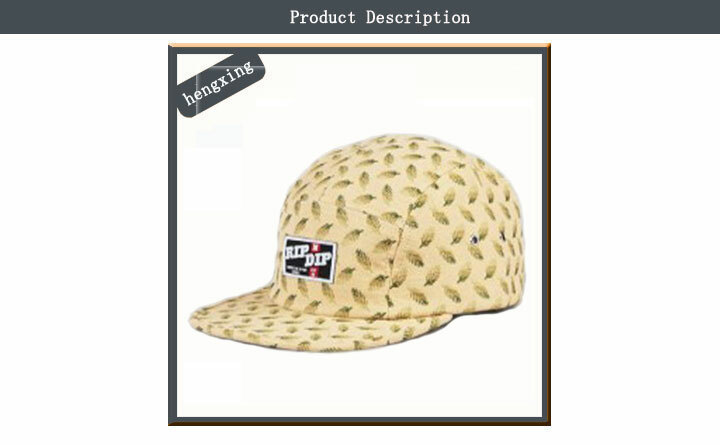 We are also manufacture with 21years experience of producing various caps and hats. Through our relationships with our partners, we have created a stable and diverse supply chain that allows us to serve our customers, partners, and communities in a cost-effective and responsible way. Any of your custom products orders are welcomed. Q1 What's the MOQ about your custom hat and cap? A1 For custom cap and hat, our MOQ is 50 pcs each design each color. Q2 What the payment method did you accept? A2 For small order, we accept Paypal, Western Union, Escrow. For big order, we accept T/T or L/C. Q3 How is your sample time and mass production time? Q4 Can you arrange the shipping for me? A4 We can arrange the shipping for you. Normally we ship the caps by DHL, SF, Fedex Or UPS. Contact us if you need more details on Hat. We are ready to answer your questions on packaging, logistics, certification or any other aspects about 5 Panel Caps、Panel Caps. If these products fail to match your need, please contact us and we would like to provide relevant information.